Picked up one single 7" in the whole haul of records in Frisco last week, which brought the total number of 7"s I've acquired in the past couple of months to five. So I'll post one a day this week. I hardly ever buy singles. I tried to get into them in college, but other than picking up ones by bands for whom I had a completist urge, the habit never stuck. B—'s got a shitload of 'em, like stacks of boxes like, but he's more of a punker than I am. Punk's all about the 7". So Spaghetti slipped me a copy of this split Snakes did with somebody called 1-800-BAND. Their side is pretty straight-up Snakes, dirty fuzz, inebriated guitar, Spaghetti's raspy vocals. Raw. 1-800-BAND is kind of an odd fit for this split, more poppy garage stuff. Killer organ sound. Cool song title. Little else. There are actually two songs on 1-800-BAND's side, but I'm only posting one. Can't have it all; go buy the single if you like it. Support these hardworking bands. Or just download it from the label's MySpace page. There's nothing exclusive going on here, I'm afraid. No idea what circumstances brought these bands together; they must both know whoever runs the label. From my deck to you: Snakes – "Fakeyed Heartscrew" and 1-800-BAND – "Tropical Meds"
So I was outta town all last weekend which is why I haven't posted in a couple weeks. Yeah I know, excuses excuses, but I bought a shitload of rekkidz out on the coast so I got a tonna new material an' it all starts with a big fat five-post blowout week on Monday. Yes, Monday to Friday, every day, sweartagawd, even though I'm goina the Boredoms show in NY on Sunday. Meanwhile, I had another couple tracks taped for Friday of Ozzy n' Randy week but I never posted 'em so here goes. 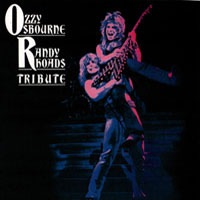 In 1987, a few years after Rhoads had died and following a couple of Jake E. Lee records, Ozzy finally opened the vault and released Tribute, a collection of live recordings of the Rhoads line-up. He even credits the album to Ozzy Osbourne and Randy Rhoads, and the sleeve includes liner notes by Randy's mom. Totally killer album; you should get it. First up is "Crazy Train", which I know is an obvious choice but this version is special to me. P— had a copy of Tribute in the Camry so we used to listen to it while we drove around getting grilled and we always pumped "Crazy Train". For me it's the definitive version of the song, just because I've heard it so many times. The studio version is fine, but just seems to lack that extra bit of energy the crowd provides. Can't beat an Ozzy crowd. And I'm posting "Goodbye To Romance", another one from the first album and the first of Ozzy's many great power ballads. This version kills the one on Blizzard, even more so than "Crazy Train". The studio version always felt way too stiff, and the bass is mixed too high (a problem shared, oddly enough, by "Tonight" on the next album). Rhoads solo on this one is just tremendous. Eddie Van Halen is commonly credited with inventing the flashy, warp speed guitar style that came to dominate mainstream hard rock in the 80s, but Rhoads really shares that honour. 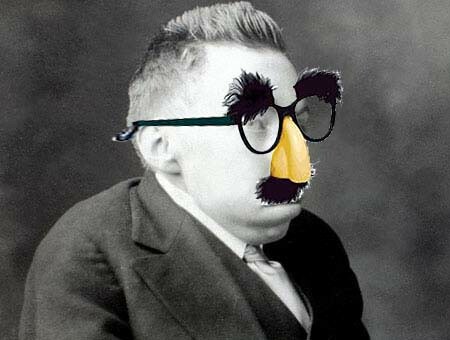 I wonder if he'd be more widely recognised for it had he lived. 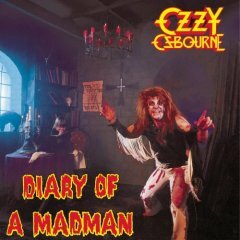 Keep in mind that "Diary of a Madman" was just the beginning of his new direction. One can only imagine what might have been. From my deck to you: Ozzy Osbourne – "Crazy Train [live]" and "Goodbye to Romance [live]"
I think this one's my favourite Ozzy record. And Diary is all about Randy Rhoads. This is where he started creating some truly ambitious compositions, especially the title track. The song is built around the Wagnerian main riff and lurches through various parts with numerous time signatures. 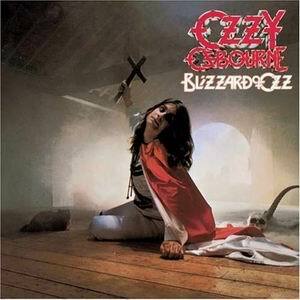 It often seems as though Ozzy is simply along for the ride; the lengthy instrumental gaps between his verses make it impossible for him to biuld any sort of momentum with the lyrics. Sadly, what could have stood as the starting point of Rhoads's artistic peak was instead his swan song. He was killed in a plane crash shortly after the release of Diary. But that's not even my favourite track on the album. One of the most overlooked aspects of Ozzy's music is his absolute mastery of the power ballad. He puts one on almost every album but, until the success of "Mama, I'm Comin' Home", never released them as singles and rarely played them live. I think if I listed my ten favourite Ozzy songs, at least half of them would be ballads. Maybe. In fact, "Tonight" might be my favourite Ozzy ballad, maybe even my favourite Ozzy song, and it's not on any of his numerous double live or greatest hits packages. Why not? Listen to that chorus, people! Listen to that fade-out! I think the ballads are so great because this form is where Ozzy's melodic sensibility as a singer works best. Just, like... wait till Friday, man. Seriously. From my deck to you: Ozzy Osbourne – "Tonight" and "Diary Of a Madman"
NOTE: And if you do buy it on CD, make sure you get the 1995 reissue, not the more recent one with the bonus track; see Monday's post for further details. So yeah, taking the week off, you may have noticed. I meant to post a bunch of videos all week, but lo and behold YouTube has officially been blocked at the office. And there was despair amongst the workers. Back on track next week. In the meantime, go listen to this kickass new Does It Offend You, Yeah? track from their forthcoming debut. Not quite as earth-shatteringly brilliant as "Let's Make Out", but terrific all the same. My most anticipated album of this year. That and the Ashlee Simpson one, if it ever comes out. Here's the video for that Ultra Vivid Scene track I put up on Friday. It's an edited version for single length, so you lose that whole intro, but no big loss, the song's still there. 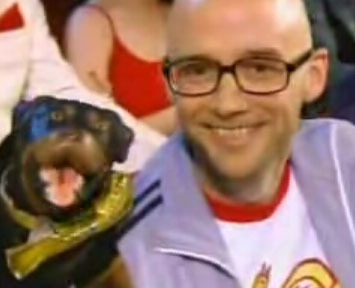 And yes, that's none other than young Richard Melville Hall on rhythm guitar, someday to be known to the world as Moby. 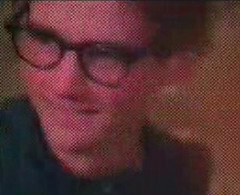 Hard to recognise at first with all that hair, but when he smiles at the end you can tell it's definitely him. I'm pretty sure he's not actually playing on the song, though. Kurt Ralske was basically a one-man band for the first album. Still, strange that his time with UVS, brief though it may have been, goes unmentioned in both his official bio and his Wikipedia entry. He may not have done much more than play a few shows with them, but I mean come on, his website lists all his childhood public schools. Surely this would be a more pertinent detail? There are some pretty great videos of Ralske's recent video art installations here, by the way, but I don't know how to embed Quicktime files in html, so you'll have to click around and check them out yourself. Try the Times Square one, it's cool.